What Is the Closest Beach to Charlotte, NC? The closest beach to Charlotte, N.C., is Myrtle Beach, S.C. The resort town is about 170 miles southeast of Charlotte, which is roughly 3.5 hours away by car. With more than 14 million tourists annually, Myrtle Beach is one of the most-visited coastal towns in the country. There is no shortage of luxury resorts, and the miles of pristine sand beaches that run through Myrtle Beach are considered some of the most beautiful the United States has to offer. "Travel + Leisure" magazine and "National Geographic" rate the oceanfront Myrtle Beach boardwalk as one of the best in the country. 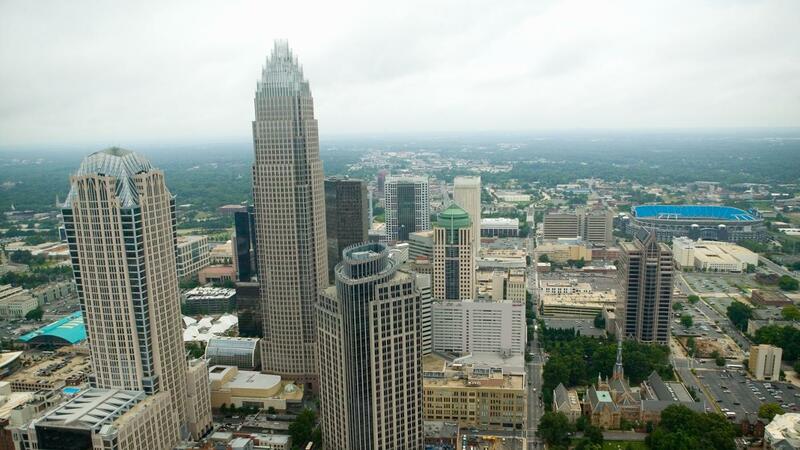 What Is the Population of Charlotte, NC? What Is the Closest Beach to Chattanooga, Tenn.? What Ocean Beaches Are Closest to Kentucky? What Is the Closest Beach to Knoxville, Tenn.? What Region Is Texas In? What Is the Nearest Ocean Beach From Nashville? What Are Some Fun Things to Do in Charlotte? What Words Did Charlotte Write in Her Web?